After the initial edition (1485), Alberti’s De re aedificatoria was for a long time only accessible in Latin through the pioneering publication printed by the humanist Geoffroy Tory and released by Berthold Rembolt in Paris in 1512, and the subsequent publication printed by Eberhard Tappe and released by Jacob Cammerlander in Strasbourg in 1541. Two Italian editions followed, published in Venice in 1546 and Florence in 1550; the latter was the first version to come with illustrations. This provided the backdrop for Jean Martin’s edition of Alberti’s treaty on architecture: shortly after Martin’s death, Jacques Kerver published the French translation (1553) that adhered to a prestigious set of editorial principles laid down by Francis I. 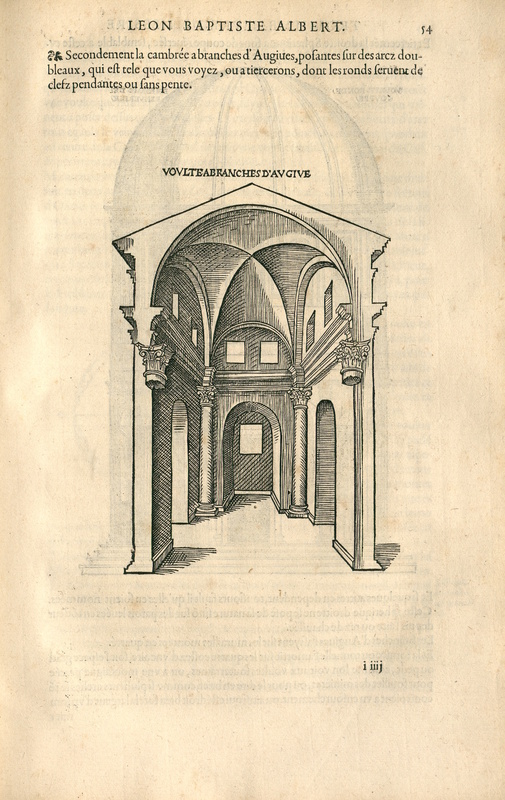 After having translated Vitruvius’ De Architectura some years prior (1547), Martin meant to put forward a work that would be just as luxurious (in folio format) and designed for a rich and cultivated clientele, despite the fact that Alberti somewhat seemed to have become obsolete in light of Serlio’s recent publications that Martin himself had partly translated (Books I-II in 1545 and Book V in 1547). Yet this edition is modern – it is illustrated with 95 wood engravings, 69 of which were introduced into the 1550 Florentine edition by Cosimo Bartoli; Alberti had not planned for any illustrations to be included. The other illustrations, particularly taken from Giocondo and Serlio, echo the 1547 edition of Vitruve in which they already feature. 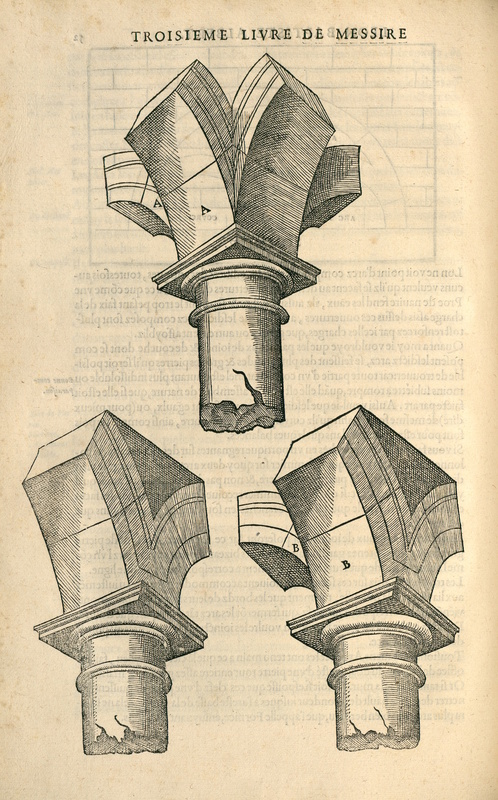 For chapter 14 of book III that focuses on vaults, the French edition particularly uses Bartoli’s spectacular illustration (1550, p. 88) showing vaults that hang in 3D (Fig. 1), and that the French illustrator reinterprets through several forms – a tunnel (fol. 52v), an arched vault (Fig. 2) and a hemispherical shape (fol. 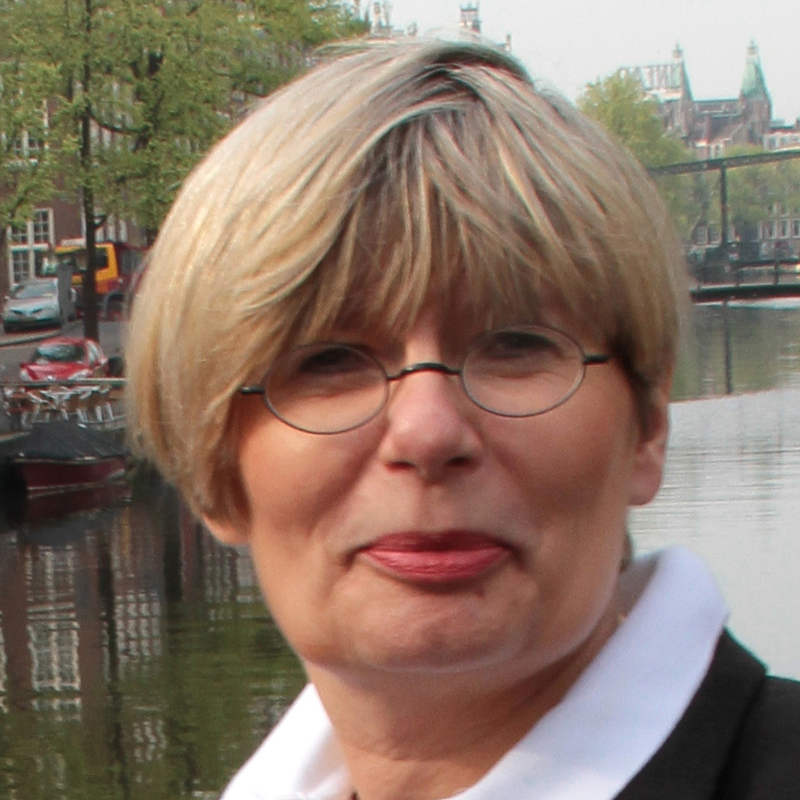 54v). Fig. 1. Leon Battista Alberti, L’architecture et art de bien bastir…, Paris, Jacques Kerver, 1552, fol. 52v (Tours, CESR, SR/2B ). Fig. 2. Leon Battista Alberti, L’architecture et art de bien bastir…, Paris, Jacques Kerver, 1552, fol. 54v (Tours, CESR, SR/2B ). Alberti’s work was not reprinted. Present in all architectural libraries, it nevertheless remained a must read until the seventeeth century. In his Parallèle de l’architecture antique avec la Moderne (A parallel of ancient architecture with modern architecture) (1650), Fréart de Chambray includes Alberti in his list of ten theoreticians to have written on the architectural orders: he associates Alberti with Viola, in the same way that Scamozzi is associated with Palladio, Vignole with Serlio, Barbaro with Cataneo and Bullant with Delorme. The work was republished in France in 1689 and again the following century; it was also translated into English in 1664 and republished in the eighteenth century, and has no doubt helped Alberti’s fortune to last through illustrations inspired by Bartoli and Martin. M. Carpo, “Les problèmes de la traduction du De re aedificatoria d’Alberti, 1553”, Jean Martin, Un traducteur au temps de François Ier et de Henri II, Cahiers V. L. Saulnier, 16, Paris, PENS, 1999, pp. 127-135. F. Lemerle, “Fréart de Chambray et Alberti”, Albertiana, 3, 2000, pp. 261-273. F. Lemerle, Roland Fréart de Chambray, Parallèle de l’architecture antique avec la moderne (Paris, 1650). Critical edition, followed by the Idée de la Perfection de la peinture compiled by M. Stanic, Paris, École Nationale Supérieure des Beaux-Arts, 2005. Y. Pauwels, “Leon Battista Alberti et les théoriciens français du XVIe siècle: le traité de Jean Bullant”, Albertiana, 2, 1999, pp. 101-104.